The main objective of the FORA Training School (TS1) is to introduce the basics of Fog Computing and Industry 4.0 very early on, i.e., 3 months after the majority of the ESRs have started. TS1 also covers resource management topics (SC3). To help plan their research, ESRs take TC1 on research methodology and scientific publishing. This is also when they have a seminar on ethics (including research integrity) and gender issues. We had 44 participants, with 10 participants from outside FORA. FORA TS1 was open for participants outside FORA, at beneficiaries and partners. Based on what we have learned in TS1, the future training events will be fully open, run in a Summer School format. We had 20 lecturers providing the training, about a third from outside FORA, leaders in their respective fields. 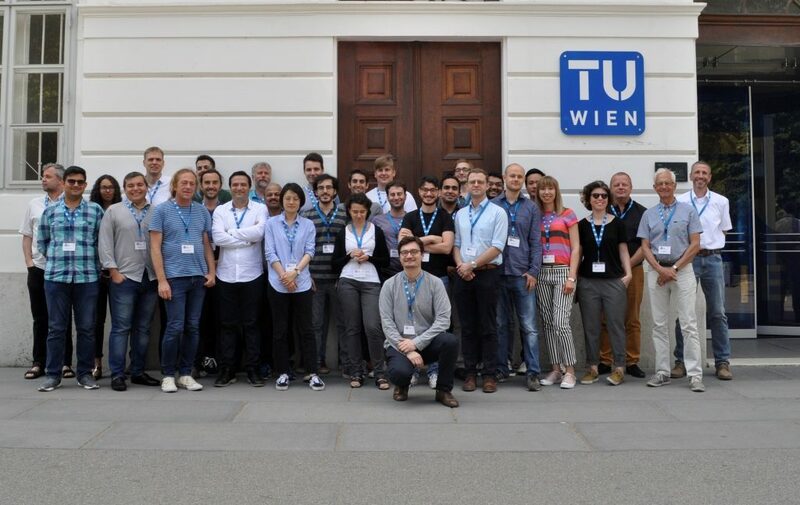 The second day was organized at the Vienna Pilot Factory, where the ESRs could see demonstrations of Industry 4.0 applications in a Smart Factory environment. The ESRs have participated in a demo of a Edge Computing device from TTTech Computertechnik AG (with a hypervisor called PikeOS from SYSGO AG), and in a visit to TTTech’s Research Labs.